Sorry guys, I have been absent and there are so many threads I am confused. Where is the flag and what is the current plan? I know I have been an insignificant member as of late, but I want to at least want to sign the flag. My friend Clutch and others put lots of work into it and I want to sign it. Thanks. Well come around the end of March I will be willing to travel to bring it back up to the Midwest area. Wonder will the flag ever make it to NorCal? 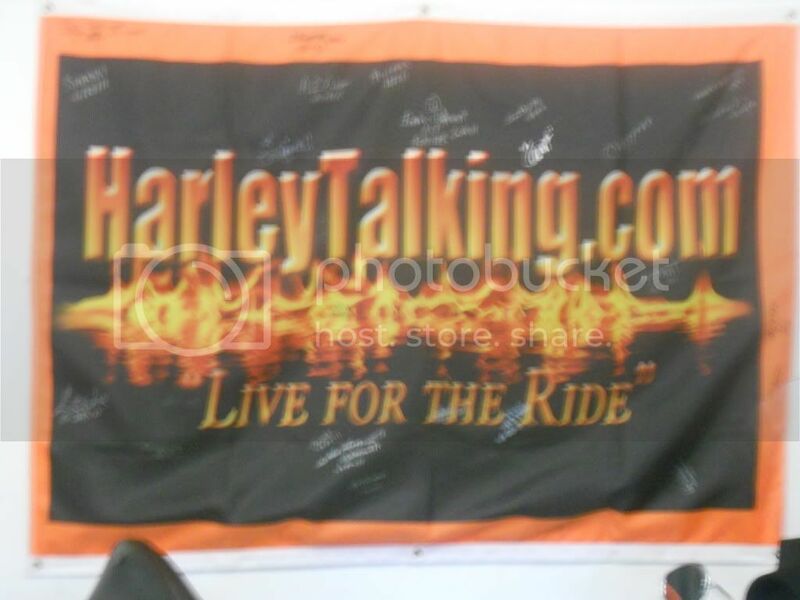 With this HarleyTalking Flag....it is TRULY the "Journey".....NOT the "destination"!!! We want to see it traverse the country, then the continent, then the GLOBE on it's NEVER-ENDING quest for new adventures! Every once in a while it will stop for a little "rest", but then we'll get it moving again and document it's journey with pics and the story of where it has been and who it has met all along the way!!! I look forward TREMENDOUSLY to the next installment, which I agree is about due! Old sky king, I just noticed that you and come from the same neck of the woods. I was born and raised in Corning, Ca but I (with from the federal government) escaped the Peoples Republic on California and now live in the PNW. There's no such thing as to much horsepower and unused horsepower is waisted horsepower! Hey Wing, Merry Christmas! I’ve only been in this neck of the woods for three years or so, started out in Oklahoma. I’ve lived in Bakersfield, Mojave, Lancaster, Palmdale and prior to moving here, Santa Maria on the Central Coast. I’ve only been to Corning one time to attend a CFI meeting. Still getting familiar with this area…have visited Burney Falls and Shasta Caverns so far. I sorta like it here but would leave this State as well if family wasn’t here.